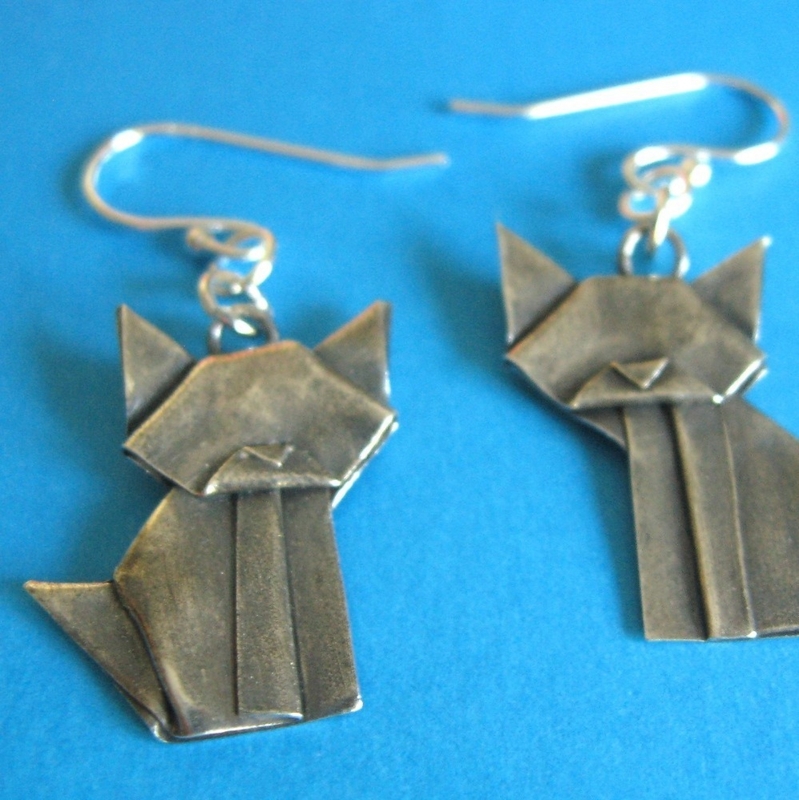 The origami kitties have been so popular, I decided to shrink them down to earring size. Each one is carefully folded by hand from sheets of fine silver. Because I fold each one by hand, there may be slight variations in the details. A head may be tilted slightly, or ears and noses smaller or larger. These little guys are about half the size of the pendants, barely 1/2 inch tall. 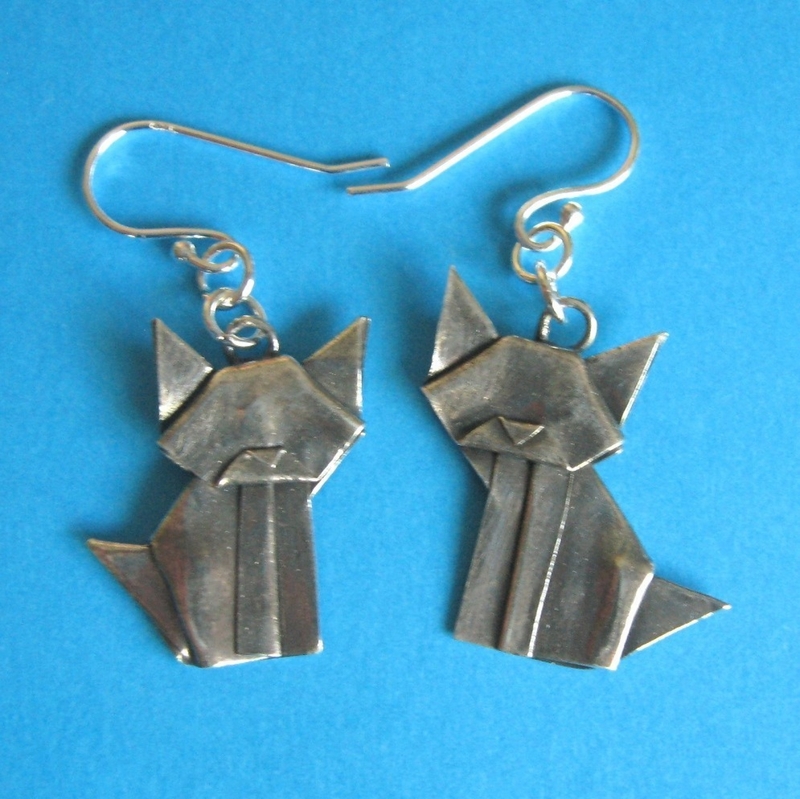 They are made from .999 fine silver silver, folded into kitty shapes, and given a light antiquing to bring out the detail. 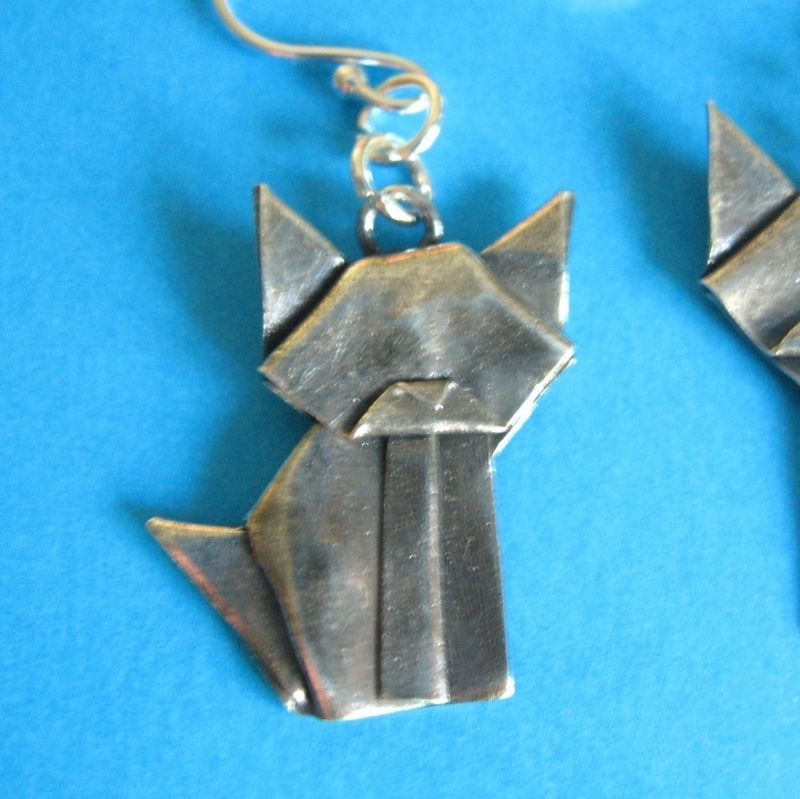 The ear wires are also sterling silver. All my items are ready to ship, and come in a tissue lined box suitable for gifts. I can usually ship out an order within one business day of purchase.